If you’re looking for highest quality in fresh produce, you've found us. 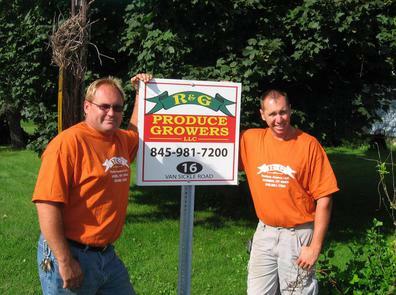 R & G Produce, LLC takes pride in bringing you the freshest, tastiest and best produce possible. Fresh from the farm to your table. Saturday Ossining Farmer's Market Main St. and Spring St. Opening Days will be here before you know it! Our workers have arrived and the planting has begun. Soon we will be bringing you the finest vegetables you will ever have. Keep checking back for opening dates. Click on your favorite market for more information!